Hello and welcome to Seaford Little Theatre. Thank you for taking the time to explore the pages of our website. 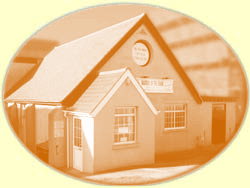 We are Seaford's premier theatrical society, based in our own premises on Steyne Road, where we provide a wide range of dramatic entertainment both for the town and its surrounding area. Putting on four plays a year, which run the full gamut from broad farce to subtle thrillers, gentle comedies, all time Classics and serious drama, our aim is to give the local community a memorable theatrical experience that is enjoyable, varied and has been produced to the highest standard possible. Whether it be intimate, modern pieces like John Godber's Men Of The World or full-on Period dramas, such as Jane Austen's Emma, we are certainly not afraid to rise to the challenge, with all the demands which such productions can make on set design, construction, sound, lighting, and wardrobe. 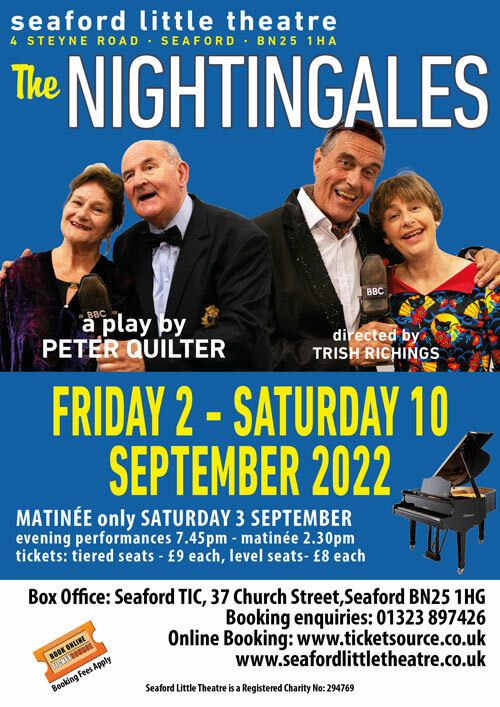 However whatever the play, primarily, Seaford Little Theatre is all about enjoying, participating in and sharing, a passion for every aspect of the Theatre. To learn more about us, take the theatre tour or visit our history page.